I mentioned in my very first post on this blog that my goal here is to encourage new homeschooling mommas. There are times when I look back on my homeschool journey and wish I knew then what I know now. I loved homeschooling the early years – preschool through third grade. I love homeschooling now, but it’s not always as “fun.” Watching a little one’s eyes light up when they finally learn to read is such an amazing feeling. Drilling math facts with Bingo and seasonal printables is way more fun that doing geometry with middle schoolers. 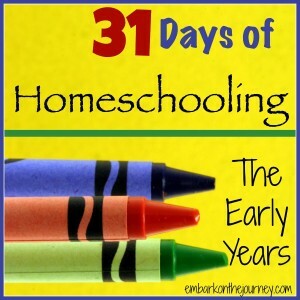 This month, my goal is to blog every day about homeschooling through the early years. 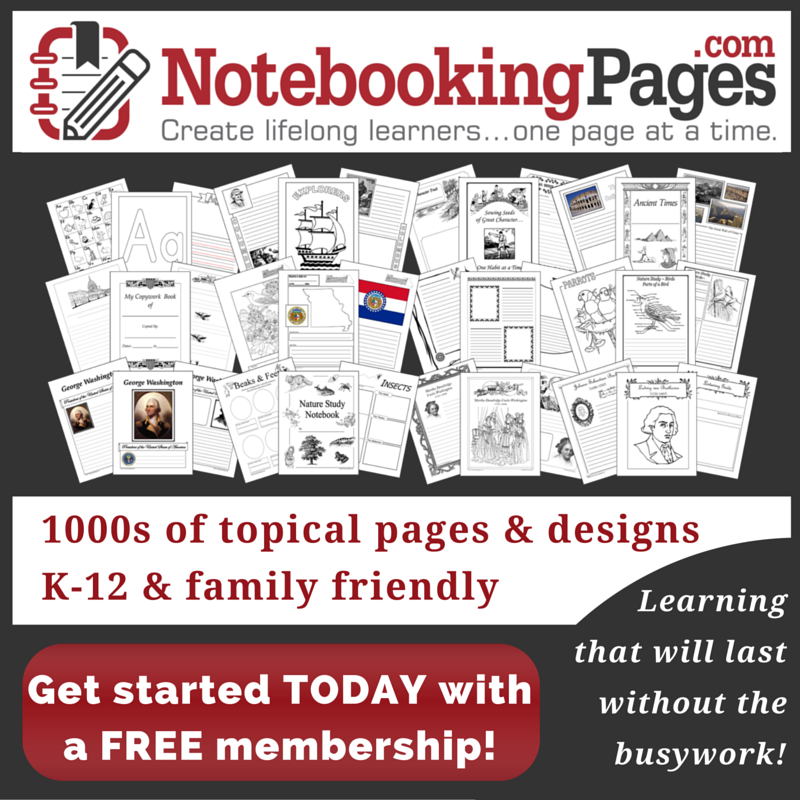 I’ll continue to provide book lists and printables and hands-on activities. I’ll also focus on getting started with homeschooling. How do you get started? How do you know what to do? How do you handle all the questions and “concerns” from outsiders? How do you handle multiple ages or little people under foot? Do you have to teach every subject every day? I’ll try to answers all of these questions and more. I have some fun printables in the works and a few fun round-ups, as well. Em wants to share a few “kids in the kitchen” recipes that would be fun for getting your little ones in the kitchen with you. We’re also planning to share a few craft ideas that we think everyone will enjoy. If you have questions you would like answered this month leave me a comment, and I will do my best to answer them. To be sure you don’t miss a post, sign up for my newsletter. You’ll receive each post in your inbox each morning. Oh, what a great idea. Those early years are absolutely the most confusing. Looking forward to seeing what you share tomorrow! I homeschooled my children thirty years ago – when it wasn’t cool. We never went out during the day because of the comments. And I have my degree in education! Not that that even matters, but I thought it would give me grace to the naysayers – did not. Love on those babies! Give them your best. and most of all – relax. You are doing better than any other situation could do for them. What you are doing for your children is the best they can get – trust me – I’ve been a teacher for years. Press on! It is well worth it. Thanks for the encouragement! I am a former public school teacher, and I couldn’t agree more. Those early years are so precious but tough! If you can get through it then the fun begins.